for $219,900 with 2 bedrooms and 1 full bath. This 1,020 square foot townhouse was built in 1500 on a lot size of 14X50. Just unpack your bags and move right in! 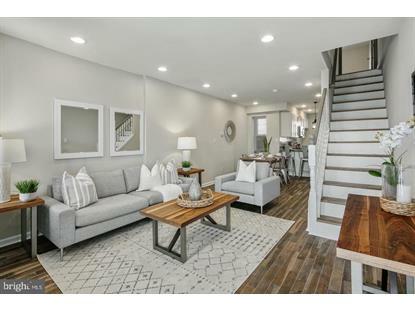 This tastefully updated 2 bedroom 1 bath home with additional office/playroom in Port Richmond has it all ? 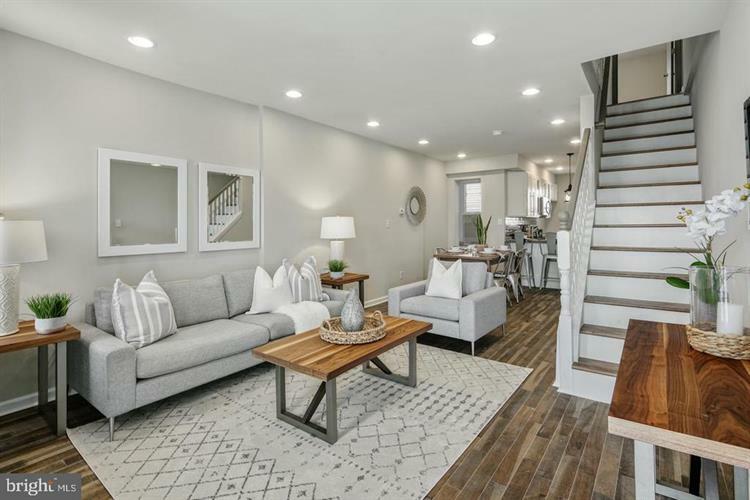 new hardwood flooring throughout the first and second floors, warm designer colors, updated exterior with new stucco, efficient water heater and central air HVAC system, and brand new electric and plumbing. You'll love the modern kitchen with new floor tiles and cabinets, granite counter tops, sleek backsplash, breakfast bar, stainless steel appliances (range, dishwasher, microwave), and access to the rear patio, great for unwinding at the end of the day. The upstairs offers two bedrooms with ample closet space and plenty of natural light. The shared hall bath features imported tiles and a brand new vanity and tub. You'll truly appreciate the finished basement, which provides additional space for relaxing or entertaining, as well as a convenient laundry room. Just minutes to I-95, Center City, shopping, don't overlook this gem! Disclosure: Broker has financial interest.